DSWorks, LLC is a performance based advertising agency focused on acquiring leads and sales for local service providers, direct advertisers and advertising networks. The company was established in 2001 as a marketing division of a family real estate and construction business located in Tyler, Texas. It’s principal, David Simmons, developed some of its core marketing plans at a time when internet related companies were stagnant due to the “dot com” bust and the September 11th attacks on the United States. At that time, emphasis was placed on search engine optimization in local markets to attract new clients for the construction and real estate operations. The firm’s SEO efforts naturally led to paid advertising and pay-per-click marketing as a means to further scale successful lead generation activities. As CPA (Cost Per Action) advertising models and networks became more prevalent, DSWorks introduced new revenue streams by generating leads and sales in many different verticals including sports, careers, finance, gaming, dating and e-commerce. Today, the firm continues to generate leads and sales in these verticals as well as working with local service providers. 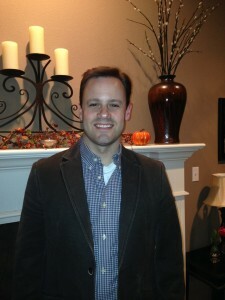 David Simmons is a finance graduate of Texas Christian University with an M.B.A. from the University of Texas at Tyler. David continues to direct the firm’s activities from its primary office located in Rockwall, Texas.